Horned pit viper, 2 rhinocerous iguanas, 22 Egyptian tortoises, 4 Blue tongued skunks and Green tree frogs seized. On questioning, he was evasive and officials opened his baggage for further examination. 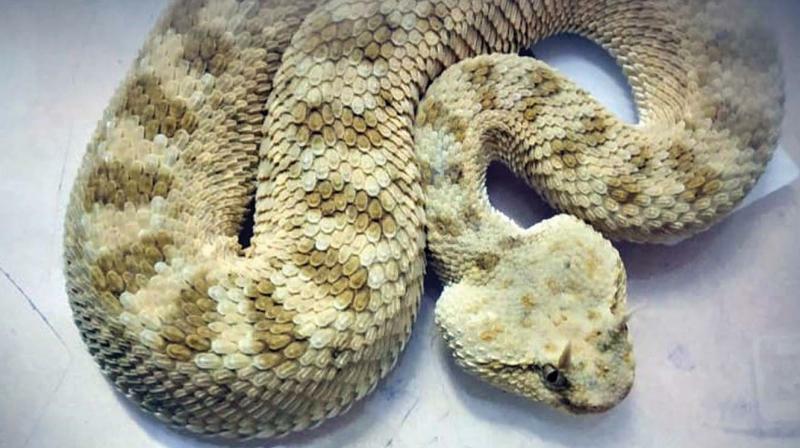 Chennai: Customs officials at the Chennai international airport seized a horned pit viper and other reptiles from a passenger from Bangkok on Monday morning. He was detained and further investigations are underway. In February, officials had found a passenger trying to smuggle a leopard cub from Bangkok Airport sources said that on Monday, based on specific intelligence that wild animals were likely to be smuggled from Thailand, the officers of Customs’ Air Intelligence Unit went on a special alert at the customs arrival hall to catch the smugglers. When they noticed a male passenger moving in a suspicious manner on Monday morning, they moved in. The passenger, identified as Mohammad Abdul Majeed, 22, of Chennai a student, had arrived from Bangkok by a Thai Airways flight. On questioning, he was evasive and officials opened his baggage for further examination. They found nine plastic containers along with some chocolates, gift items and personal clothing. When the sweet boxes were opened the officers found some reptiles. On questioning, he said he was to hand over the bag to someone outside the airport. To identify the reptile species, the AIU officials called the Wildlife Crime Control Bureau (WCCB) who identified five reptile species - a horned pit viper, two rhinoceros iguanas, the rock iguanas, 22 Egyptian tortoise, four blue-tongued skunks and and the green tree frogs.The horned pit viper is an African venomous snake for which there is no no anti-venom available in India. The Egyptian tortoise is a critically endangered species and is endemic to Egypt and Libya. The wildlife species were seized under the provisions of Customs Act 1962 read with FT (D&R) Act. The passenger was detained. 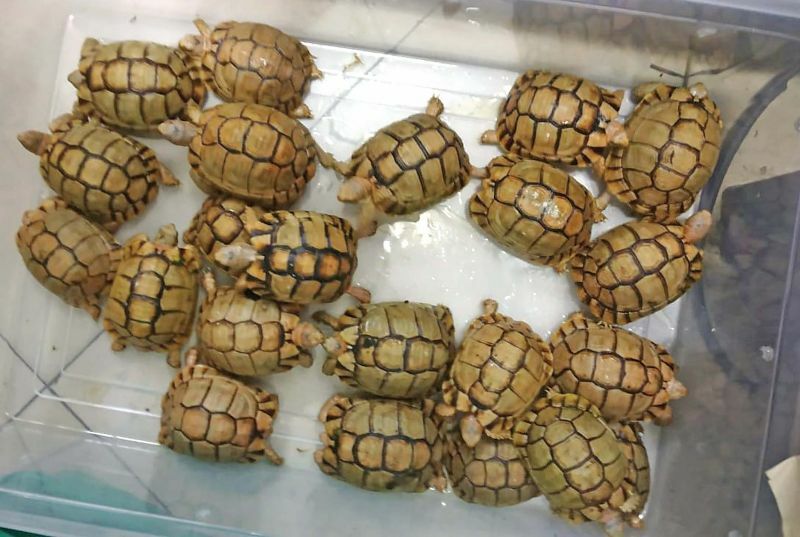 The wildlife will be sent back to Bangkok.